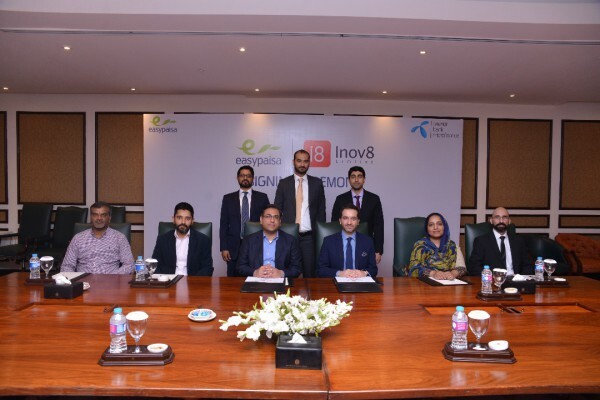 Telenor Microfinance Bank’s mobile money platform, Easypaisa, and the Inov8 Limited, have signed a strategic agreement to offer Easypaisa’s vast distribution network to all commercial banks’, who are signed up with Inov8 technology. The agreement was signed by the President & CEO Telenor Microfinance Bank, Ali Riaz Chaudhry and Co-Founder and Co-CEO Inov8 Limited Bashir Sheikh, in presence of respective management teams. 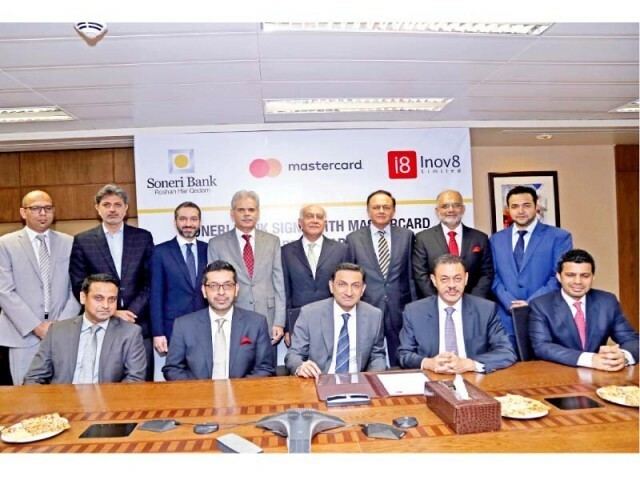 KARACHI: Soneri Bank Limited and Mastercard announced the launch of the Mastercard World debit card and FalconPay services for the bank’s customers. FalconPay (powered by Mastercard) is a mobile financial services platform provided by Inov8. 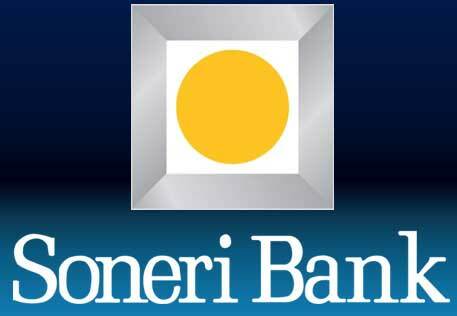 It will allow Soneri Bank to target new market segments within its mobile banking platform. KARACHI: Soneri Bank Limited in collaboration with Mastercard has announced to launch a ‘World Debit Card’ and FalconPay services for the bank’s customers. Karachi: Soneri Bank Limited, one of Pakistan’s leading private commercial banks, and Mastercard, a leading technology company in the global payments industry, announced the launch of the Mastercard World debit card and FalconPay services for the bank’s customers. The Bank of Punjab (BOP) has started the implementation of its Mobile Banking App with Inov8 Limited. In line with the objective of providing multi channel banking experience to its customers, The Bank of Punjab aims to launch cutting edge mobile banking services. LAHORE: The Bank of Punjab (BOP) has started implementation of its Mobile Banking App with Inov8 Limited. In line with the objective of providing multi channel banking experience to its customers, BOP aims to launch cutting edge mobile banking services. 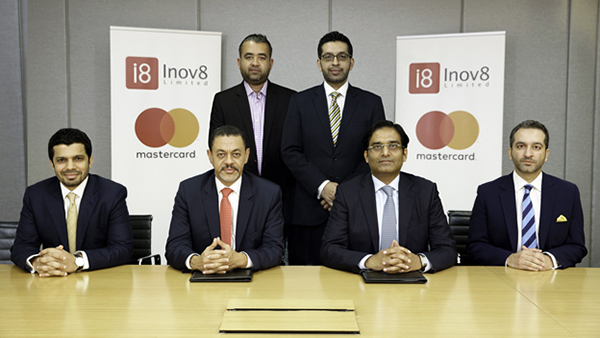 Dubai, UAE – September 5, 2016: Demonstrating a shared commitment towards nurturing a strong cashless environment in Pakistan, Mastercard, a leading technology company in the global payments industry, and Inov8 Limited, one of the fastest growing financial technology companies in the region– have announced a collaboration that will oversee the rollout of an innovative, next-generation digital payments service over Inov8’s ‘FalconPay’ platform. 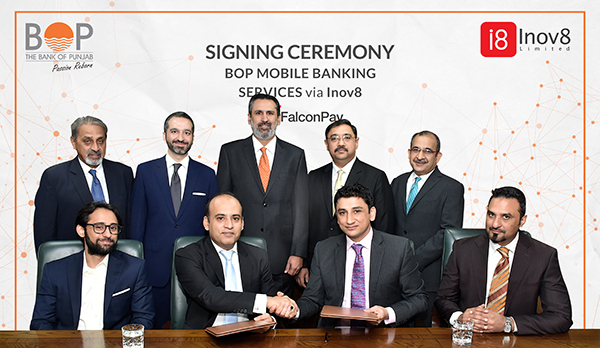 Inov8 Limited, the region’s premier digital payments company, sign a landmark deal to fuel mobile commerce in the country with Bookme.pk, Pakistan’s first online booking platform for movies, events and bus services. The integration will allow Inov8′s customers the advantage of browsing, reserving and booking tickets via Bookme.pk on the Falcon Platform.